A spokesman for the Nobel Peace Prize jury says 231 nominations have been submitted for this year's award, with publicly disclosed candidates including WikiLeaks whistle-blower Bradley Manning may be among the hundreds of nominees for the 2012 Nobel Peace Prize, rights activists say. 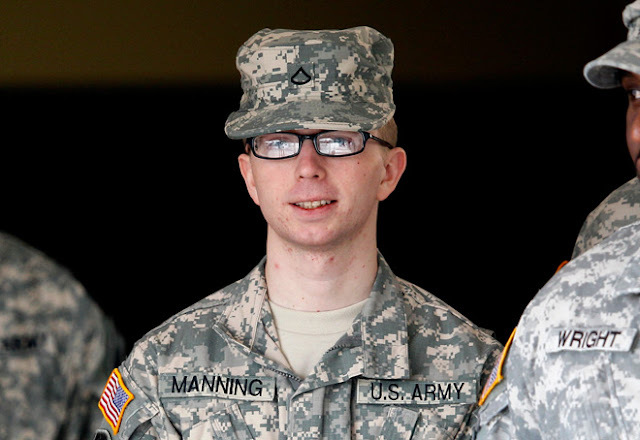 Bradley Manning, a 23-year-old Army intelligence analyst, is accused of leaking a video showing the killing of civilians, including two Reuters journalists, by a US Apache helicopter crew in Iraq. He is also charged with sharing the documents known as the Afghan War Diary, the Iraq War Logs, and embarrassing US diplomatic cables, with the anti-secrecy website WikiLeaks. The video and documents have illuminated such issues as the true number and cause of civilian casualties in Iraq, human rights abuses by U.S.-funded contractors and foreign militaries, and the role that spying and bribes play in international diplomacy. Among the people known to have been nominated for this year's prize are former US president Bill Clinton, ex-German chancellor Helmut Kohl who led his country's reunification process, and Ukraine's ex-premier and now jailed opposition leader Yulia Tymoshenko. The winner or winners will be announced in October.